Above: 24 cards from a 40-card woodblock and stencil pack made in Mexico by Bartolo Borrego, 1836. 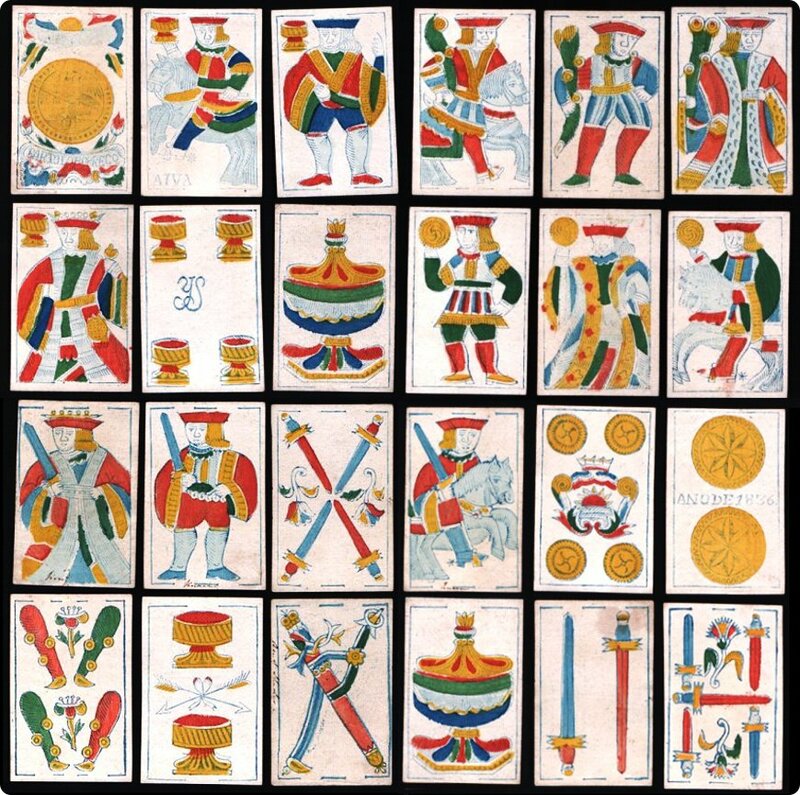 Borrego was manufacturing cards at least until the 1860s, and his packs were based on the old Spanish National pattern produced in Macharaviaya. The signature on the four of cups is believed to be related to some form of taxation or inspection regime similar to the system used in Spain. Cards courtesy of Juan José Pérez-Castejón.